Rooney Mara as M and Casey Affleck as C. Photo credit: Bret Curry. Courtesy of A24. Casey Affleck and Rooney Mara appear to be at the top of the arthouse cinema scene these days. Affleck won an Oscar for Kenneth Lonergan’s Manchester by the Sea this past year, and Mara is working with nearly every respected director who comes her way. The two have reunited with filmmaker David Lowery for their second film together since Ain’t Them Bodies Saints (2013). 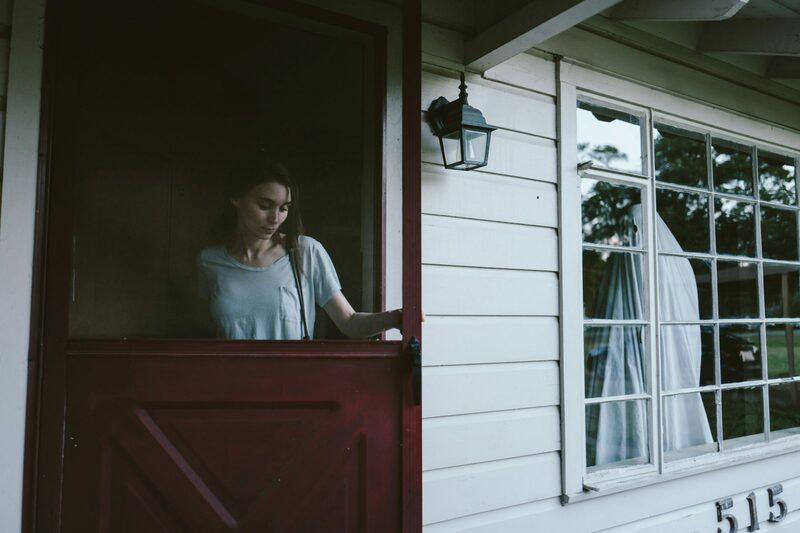 A Ghost Story is not a horror film or Casper-like sentimentality, but rather a nice bit of celluloid eye candy. Affleck plays a local musician, who is credited as just “C,” and lives in a small suburban house in Texas with his wife, played by Mara, who is credited as “M.” The two have a pretty typical, but content married life in the quiet neighborhood, until C is killed in a car crash right outside the house. From then on, C re-appears as a ghost—but a ghost that is a white bedsheet with two peepholes—following M around the house, unknown to human eyes. While I had reservations on Lowery’s earlier film taking too many cues and inspirations from Terrence Malick, here the newer director really finds a fresh light. In many ways, A Ghost Story is Lowery’s own The Tree of Life (2011), but with his own flare and touch coming through fluidly. The whole film can be viewed as almost an extended dream sequence, like Cameron Crowe’s Vanilla Sky (2001), but without any expository dialogue or backstory. For a mellow atmosphere and pretty aesthetics, A Ghost Story is for artsy film fans.